I think I have always loved lace. The romance, the intrigue, the beauty and of course the practical bit of covering up fleshy areas without wearing a polo neck all year round! I have worn my lacy number from Warehouse, bought a few years ago, as an under and over layer. Experimenting with stripes under lace or adding a colour to make the changes, but nearly always with denim to try and master the boyish girlie style I love. 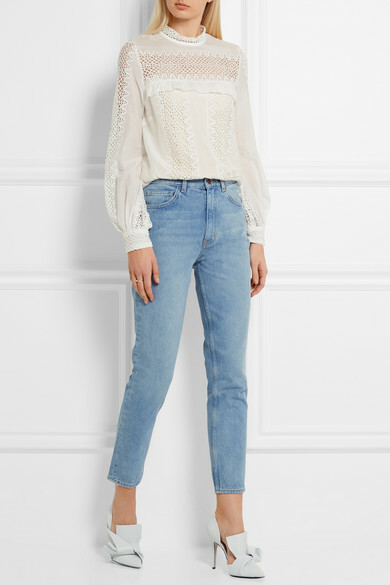 Just last week I walked into the The shop at bluebird perched above Jigsaw in Guildford’s High Street and felt a tingle of excitement as I noticed Red by Valentino’s vintage style lace blouse, but priced at £485, it’s not an every day purchase! But luckily there are gorgeous high street versions, and Top Shop have come up trumps (Not sure I like saying that anymore!) Cotton blend, machine wash.
More of a crochet than lace, but all cotton with a detachable cami and bracelet length sleeves by Boden. Also in navy, hand wash only. 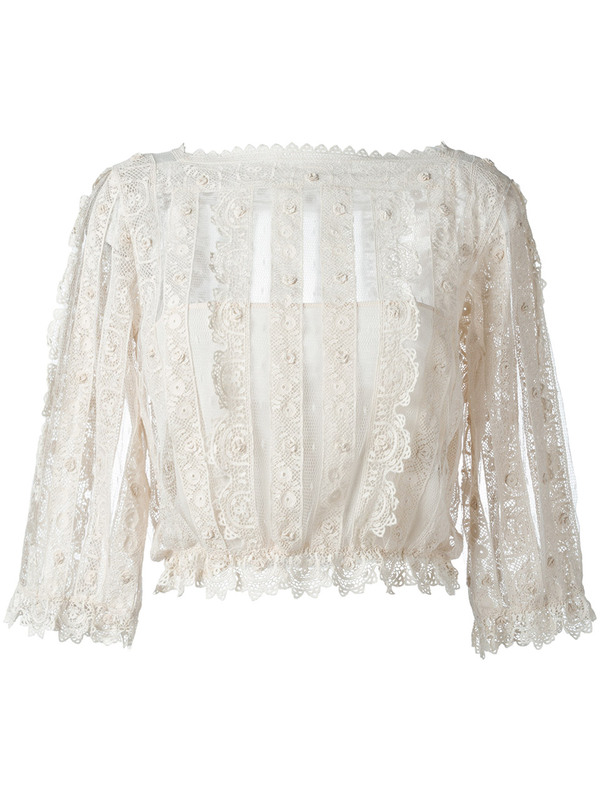 Romantic lacy sleeves by Mint Velvet, also available in black, hand wash, Viscose. Another designer influence from the design team at Self-Portrait, styled with jeans and heels. Cotton and silk blend, hand wash.
French Connection offer a modern take on lace with this laser cut design, a bit more geometric and less fussy for those unsure of frilly lace. Polyester and dry-clean. I also love this golden lace tank top by Zara, ideal as a summer evening or layered over a light knit and worn with the Autumn checks arriving for next season. Cool styled celebrity, Kate Hudson, does lace and denim, showing off with her super flat tum! So it could be Victorian or Edwardian influence, or even crochet or laser cut, but the idea is a bit sheer, a tad feminine and an edge of luxury added to an everyday bottom. Hi Jenny, yes there will be more coming up in October. 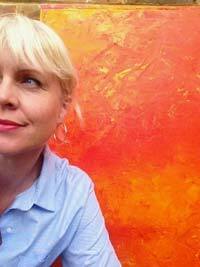 I have your details so I will include you in mail outs with future dates.